From the author of the international bestseller The Last Station, a superb historical novel of the Apostle Paul, whose tireless and epic preaching of the message of Jesus brought Christianity into existence and changed human history forever. In the years after Christ's crucifixion, Paul of Tarsus, a prosperous tentmaker and Jewish scholar, took it upon himself to persecute the small groups of his followers that sprung up. But on the road to Damascus, he had some sort of blinding vision, a profound conversion experience that transformed Paul into the most effective and influential messenger Christianity has ever had. In The Damascus Road novelist Jay Parini brings this fascinating and ever-controversial figure to full human life, capturing his visionary passions and vast contradictions. In relating Paul's epic journeys, both geographical and spiritual, he unfolds a vivid panorama of the ancient world on the verge of epochal change. And in the alternating voice of the Gospel writer Luke, Paul's travel companion, scribe, and ghostwriter, a cooler perspective on his actions and beliefs emerges -- ironic but still filled with wonder at Paul's unshakable commitment to the Christ and his divinity. JAY PARINI is a poet, novelist, and biographer who teaches at Middlebury College. His six books of poetry include New and Collected Poems, 1975-2015. He has written eight novels, including Benjamin's Crossing, The Apprentice Lover, The Passages of H.M., and The Last Station, the last made into an Academy Award-nominated film starring Helen Mirren and Christopher Plummer. His biographical subjects include John Steinbeck, Robert Frost, William Faulkner, and, most recently, Gore Vidal. His nonfiction works include Jesus: The Human Face of God, Why Poetry Matters, and Promised Land: Thirteen Books That Changed America. "Passionate. . .Wonders. . .unfold... An appealing introduction for readers who know little of these figures beyond the scripture they left. . .There is an undeniable thrill in picturing these men making up rules on the fly that will not only define Christianity but shape the world as we know it today." 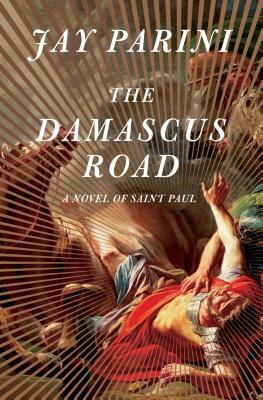 "St. Paul is one of the most controversial characters in history. Did he ruin the simple message of Jesus? Or was he the person mainly responsible for transforming that message into a universal faith? What was he really trying to do? Of all the many books I have read about this “Apostle to the Gentiles,” Parini’s was the most helpful by far. Its premise is that we cannot understand Paul’s thought without knowing something about his life and times. Parini gives us both of these in splendidly readable biographical form. He made Paul live for me." "Fantastic. . .Parini has produced a stellar novel that humanizes the Christian message and its messengers." "Jay Parini has found his own uniquely potent way of remaking the historical novel. He digs into the layers of history, into so-called real characters. They become more real in his work, hyperreal, parts of our own conflicted souls." "Parini enlivens a narrative familiar to many with fine scenes and writerly touches. . .An exceptional character study." "Jay Parini has written a blockbuster destined to become a classic. A thrilling story of spirituality in the midst of fire and torture, a page-turner that takes the reader from the gutter to the heavens. . .A book for our time and our transcendent times to come." "Sweeping in scope, yet as intimate as a breath. . .Few [stories] are written with the intense detail and keen insight that Parini provides. . .The beauty of [Parini's] language is everywhere. . .A deeply intimate portrait... earthy and transcendent."